Stella Adams is the founder and CEO of S J Adams Consulting a full service civil rights research and consulting firm located in Durham, NC. S J Adams Consulting provides a broad range of services to non-profit community based organizations, government and industry to assist them in meeting their fair housing, fair lending, diversity or environmental justice goals.. 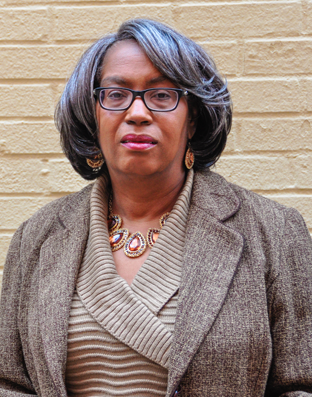 Most recently, Ms. Adams served as the Chief of Equity and Inclusion for the National Community Reinvestment Coalition. The Division of Equity and Inclusion is designed to empower, organize and support economically vulnerable, individuals, communities and small businesses. Combining advocacy, organizing, technical assistance and direct services the Division promotes economically viable, sustainable, inclusive communities for all Americans free from discrimination. Ms. Adams is a highly sought after speaker and has appeared on MSNBC’s “Melissa Harris-Perry Show” and Al-Jazeera’s “Faultlines”. She has presented at numerous national and regional conferences sponsored by HUD, Fannie Mae, Freddie Mac, The Federal Reserve Banks, and NAACP. She is an “Activist” who believes in the struggle for Civil and Human Rights. She is a founding member of North Carolina’s HKonJ/Moral Monday Movement, was arrested as a member of the “Tillis 15” and is named plaintiff in a lawsuit challenging the constitutionality of restrictive building rules imposed by the NC General Assembly. Ms. Adams was honored by Legal Aid of North Carolina when they established the Stella J. Adams Fair Housing Advocacy Award (2013). She was named 2014 Woman of the Year in Civil and Human Rights by Spectacular Magazine. Ms. Adams is the recipient of the Individual Achievement Award of the International Association of Official Human Rights Agencies (2006), the Civil Rights Award granted by the National Association of Human Rights Workers (2005) and many others. Ms. Adams is married to Thomas C. Adams, III and has three children.